Plain woven fabrics in widths ranging from 94cms to 114cms and weights 320 gms onwards are manufactured by us. Mainly used for the packing of textile and non textile products and making Hessian bags for various packing purposes. Made in various sizes, weights and qualities as per customer requirements.Used to pack potatoes, onions, rice, pulses,etc. Plain woven fabrics,with double warp and free from odour are manufactured by us.They are used for the packing of high quality rice and are made in various sizes, right from 5 to 50 Kg packings. 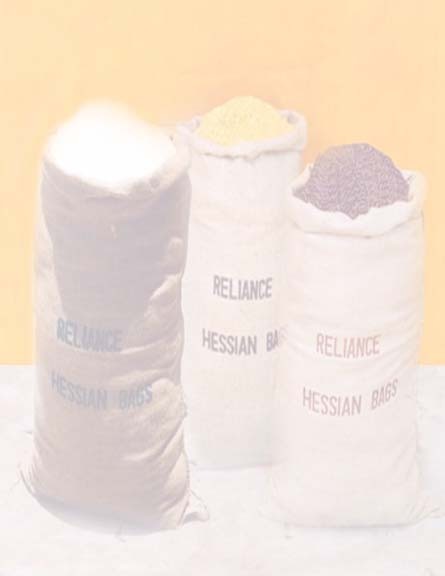 Hessian bags in different sizes,qualities and weights with LDPE / HDPE lining are manufactured and exported by us to the EEC and other countries. Mainly used for the packing of sugar and other commodities.